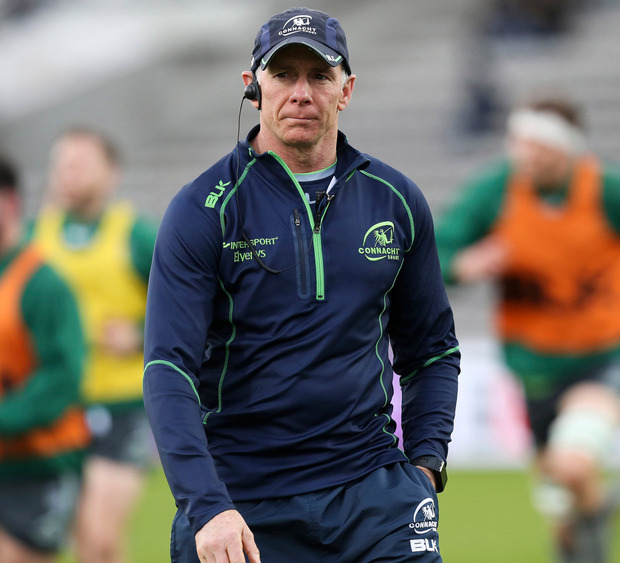 Andy Friend questioned the performance levels of some of his players as Connacht fell to a disappointing defeat against the Cardiff Blues in Wales. With six players away on Ireland duty, the likes of Cillian Gallagher and David Horwitz were given opportunities to stake a claim for a more permanent place in the team. However, Friend believes a lot of players didn't take their opportunities. "Everyone knew what was at stake here," said Friend. "Yes we've got some players out, but it provided an opportunity for other players to come in and step up. I thought a lot of those players missed their chances today. "We want to be a team that has six or eight players in the Ireland squad. We need to keep pushing players through. "There were a lot of blokes there who didn't take their opportunities and we'll see what happens in terms of selection next time out. We didn't do the simple things well. We got beaten at the breakdown and couldn't clear our lines properly." A stunning first-half try from young wing prospect Owen Lane, plus three points from the boot of outside half Steven Shingler, was enough to secure the win. 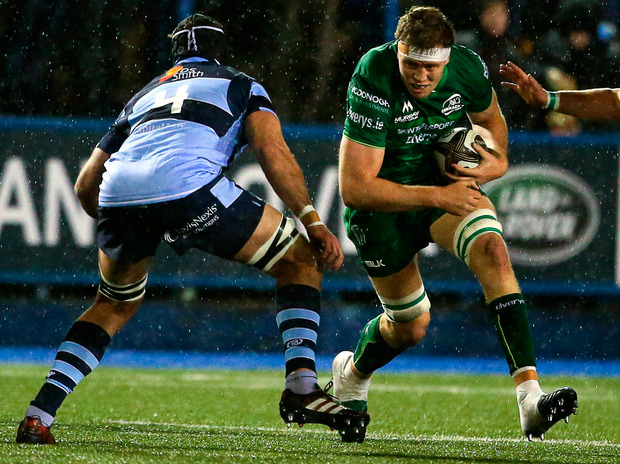 A late try from Peter Boyle plus a conversion from Conor Fitzgerald ensured Connacht left the Welsh capital with at least a losing bonus point. Friend's side reside in fourth place in Conference A and are level on points with the Ospreys in third. 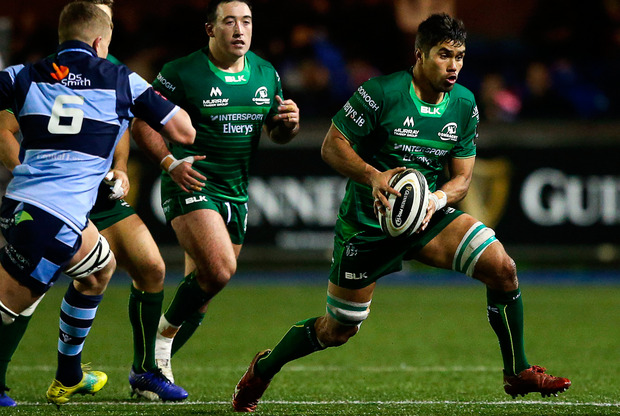 Shingler nailed an early 30-metre penalty before Connacht's driving lineout put the Blues under pressure, forcing them to concede numerous penalties. Finally the referee lost his patience and opted to send Cardiff loose-head Brad Thyer to the sin bin for his part in illegally bringing down a maul. Former Munster and Ulster No 8 Nick Williams joined Thyer in the sin bin for a reckless late hit on Finlay Bealham, but they couldn't take any sort of advantage and instead it was the Blues who crossed the try line during this period. With an attacking scrum just outside Connacht's 22, scrum-half Lloyd Williams went blindside before offloading to Lane, who skinned two defenders before diving in at the corner. Connacht had to wait until the last 10 minutes to get on the scoreboard when Boyle smashed his way over from short range, but it was too little too late. However, despite this setback Friend is confident his side are in a good position to make the end of season play-offs. He said: "We are confident we can make the play-offs. That's a shot across our bow here and it's about how we come back from this. "We're still sitting equal third in the conference. We are not out of it, but the performance against Cardiff Blues needs to be a line in the sand. We can either step over it or we stay where we are." Cardiff Blues - M Morgan (D Fish 13); O Lane, H Millard (G Smith 68), R Lee-Lo, A Summerhill; S Shingler, L Williams; B Thyer (R Carre 51), K Dacey (L Belcher 68), D Arhip (S Andrews 63), G Earle (M Cook 63), R Thornton, S Lewis-Hughes (R Carre 18-28) (J Botham 72), O Robinson, N Williams. Connacht - T O'Halloran; C Kelleher, K Godwin, T Daly, M Healey (S Fitzgerald 63); D Horwitz (C Fitzgerald 45), J Mitchell (A Lloyd 49); D Buckley (M Burke 63), D Heffernan (T McCartney 51), F Bealham (D Robertson-McCoy 63), J Cannon (J Makysymiw 69), C Gallagher, E McKeon (P Boyle 60), C Fainga'a, J Butler.